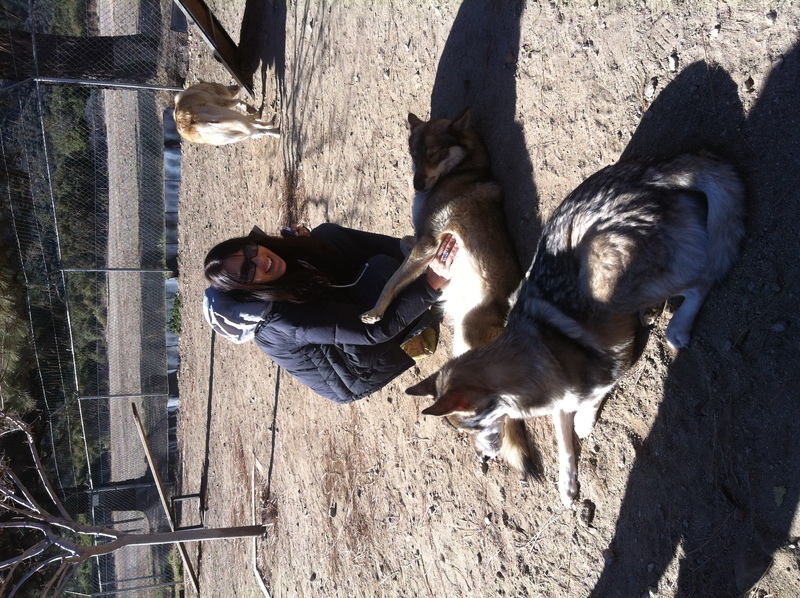 Dances with Wolves, well actually Chillaxing with Wolves! Being in the USA has meant that we have had to give up a lot of the things we love – the hardest has been to give up our animals (including my Greenpeace membership). So when Denise found an amazing opportunity to have Victorias birthday party with a pack of wolves she jumped at the chance! 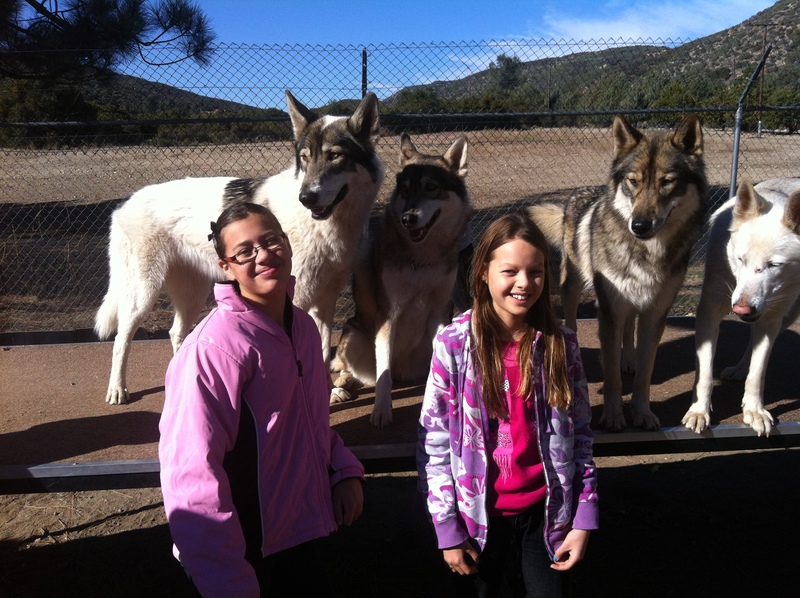 After driving through the Angeles National Forest Park for 1/2 an hour we arrived at the small 10 acre Freedom Ranch and were greeted by the spine tingling howls of the Wolf pack. We were so surprised to see how excited they were, there was no growling or barking, they were actually thrilled to meet us. Paul and Collette welcomed us also as we began an amazing day of discovery and learning. 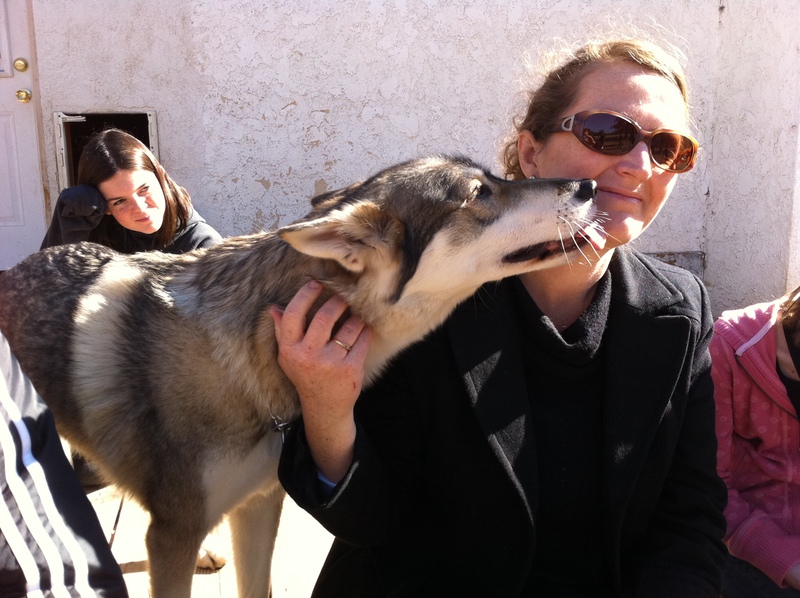 We first had to be introduced to the pack and this involved being sniffed at both ‘ends’. Paul explained that the wolves could tell what we had had for breakfast yesterday, their sense of smell was so highly defined. 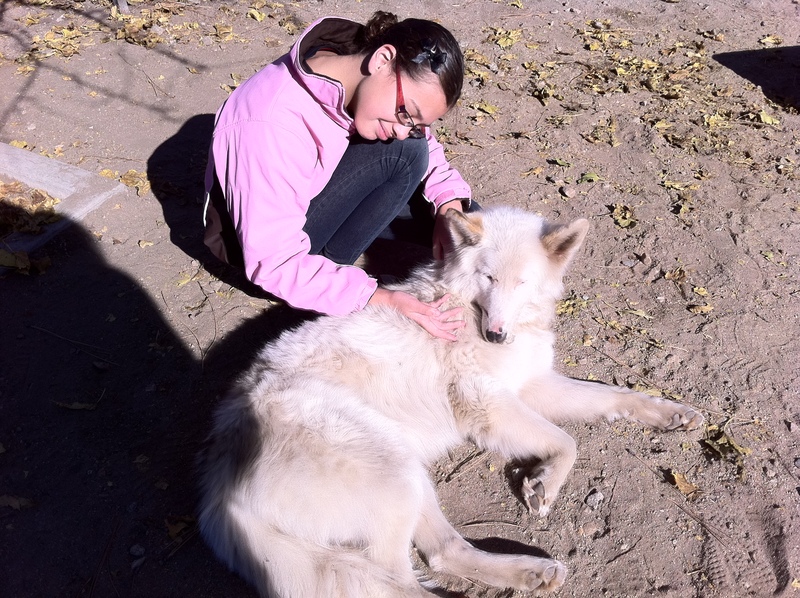 Next we got to spend a few hours with them – feeding them , talking to them, patting them and being loved by them – what about all those myths that Wolves are vicious and dangerous! The kids were even allowed to hand feed them sausage, none of the wolves fought amongst each other for the food. We actually felt safer around them than we do a domesticated dog. Paul and Collette explained to us that these poor creatures have had such a bad ‘rap’ and are hunted and killed throughout the US. There are only a few left in the wild (having been reintroduced) around Yellowstone National Park etc. Man has foolishly removed the wolf from the ecosystem and with that destroyed a lot of it. The wolf has a major part in our world, they keep the population of Deer, Elk, Buffalo etc down. With the demise of the wolf these animals in turn have over populated their natural ecosystem and destroyed it. They eat vast quantities of vegetation which then in turn destroys the trees, some National parks have had no new trees grow there since the 1920s. No new trees means no shade for waterways which then dry up and make the place desolate… and the damage goes on! Please ignore all the bad press you have heard about the Wolf most of it is due to ignorance and other peoples agendas! Bring back the Wolf and you bring back the natural balance of nature! Our day ended with a picnic lunch outside in the lovely quiet countryside. The kids had plenty of room to run around and enjoy the space. Paul and Collette let the kids toast marshmallows over the fire, which they love doing – especially the boys who looked around for things to burn once the marshmallows ran out. 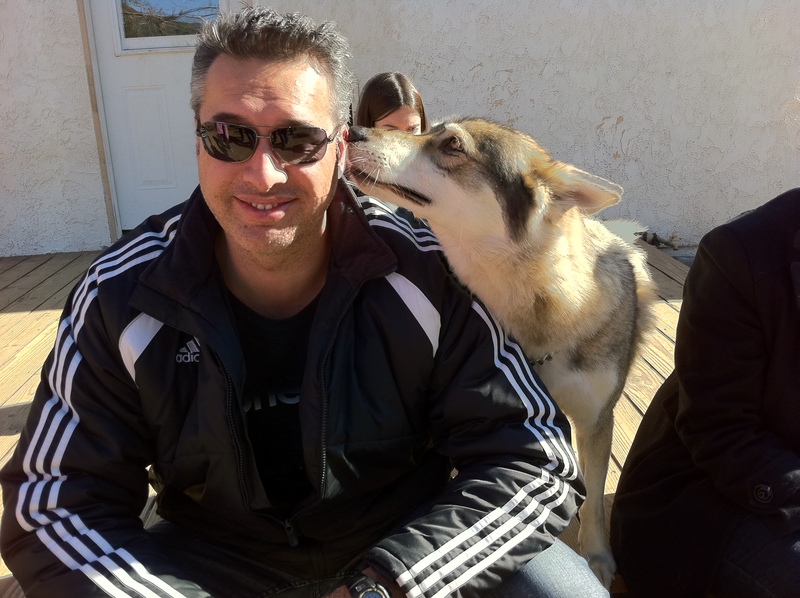 A huge thank you goes out to Paul and Collette for their hospitality, their time and sharing their precious Wolves with us. I’m sure we would all love to go back again!